Today, we are chatting with Terry Cobb, one of the runner’s up in the Winter 2018 Flash Fiction contest. If you haven’t had the chance to yet, be sure to check out her moving story, “Afternoon Tea with Jacqueline Kennedy” then come back and read her interview below. 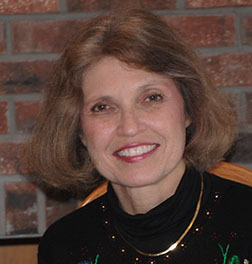 Terry Cobb is a former radiology supervisor who resides with her husband on a farm in north central Missouri where she writes short stories, devotionals, and novels. Her flash fiction has been published in The Binnacle and in anthologies published by The Saturday Writers and The Columbia Writers Guild. It has won awards from The Pike’s Peak Branch of American Pen Women, the Green River Writers, Springfield Missouri Writers Guild, and the Dr. Doris Mueller Prose Contest. Her devotionals have been printed in The Upper Room and The Secret Place. She posts photos of flowers and wildlife on her blog and writes about the challenges of gardening, at www.whatsinyourgarden.wordpress.com. WOW: Thank you so much for chatting with us today! So, I loved your flash fiction story Afternoon Tea with Jacqueline Kennedy. What inspired this story? Terry: In their later years, my parents had many health issues which naturally took a toll on their spirits. Mom used to tell me how she wished she could run away from all their troubles. The problem was that she didn’t have any place to run and she only wanted to escape for a little while. Although this story was written long after my mother’s death, this is a temporary escape I have created just for her. WOW: What a touching way to honor your mom! So, what’s next for you? What are you currently working on? Terry: I’m primarily working on a novel that I began a few years ago. I can’t remember if I’m on its tenth or twentieth draft. Since I believe in the story too much to quit, I’ll keep plugging away on it until I’m satisfied enough to send it off to an agent. I’m also writing another short story and a devotional. As you can tell, I’m easily distracted, but that’s because I find all types of writing fun. When I get an idea, I like to go ahead and get it on paper. WOW: I’m exactly the same way with writing! I tend to bounce around a lot, but I feel like it makes it more fun that way. That leads me to my next question – what does a typical day of writing look like for you? Terry: I’m an early bird. My biological clock wakes me up between 4:30 and 5 am. With a cup of coffee in hand, I meditate and journal for a couple of hours. Journaling is where I get my devotional and short story ideas. I often try to steal more time after lunch to write again for an hour or so, although I’m not consistently successful. WOW: As a night owl, who is not at all an early bird, I’m impressed you wake up so early to write. What a way to start your day! So, do you have any tips you can share about entering contests? What works for you best? Terry: Entering writing contests have been an excellent way for me to receive feedback on my writing by either signing up for an additional critique or by seeing if I can place in the contest itself. Many contests publish the winning stories which is extremely helpful in seeing what the judges are looking for and how my story stacks up to them. I also triple check the submission guidelines. I don’t want my story thrown out before it’s even read just because I didn’t format it according to the contest guidelines. I always let my work sit for a few days before submitting. That gives me a chance to read it one more time for grammatical errors and missed words. WOW: That is great advice! So, I couldn’t help but notice in your profile you said you liked to garden. How does your garden inspire your writing? Terry: The garden is my world of miracles. I marvel at how the tiny seeds in my hand produce baskets of tomatoes and bouquets of flowers. It’s especially terrific for providing metaphors and story ideas for my devotional writing. Oddly enough, pulling weeds seems to slow the wheels churning in my brain. A story idea will often come to me when I’m “in the zone” and not trying so hard to come up with something. WOW: I understand that completely! Usually when I’m not focusing so much on writing is when the best ideas come about. Thank you so much for chatting with us today Terry and sharing your beautiful story! Nicole--Thanks for doing this interview. Terry--Congratulations. I had no idea where your story was going. Great ending. I think it was Pearl Buck who said something like, "I get all my writing ideas while washing the dishes." While we're gardening or sweeping or washing the dishes, our mind is free to do something creative--like solve a writing problem. Good luck with that manuscript that's in its 10th or 20th revision. Thank you so much, Sioux. Great story, Terry, and a beautiful tribute to your mother. Congratulations! It has been 24 hours since I read your beautiful story, and it's still on my mind. I'm helping my mother through the end-stages of her life, and my dad's dementia is worsening. Connecting to others experiencing similar stories is why we read and write, is it not? Thank you, Renee and Lynn. Your kind comments mean so much to me. Lynn, I wish you much strength as you assist your parents through the later stages of their lives. I hope that later you will look back fondly on their earlier years.